Denver-based nonprofit Early Learning Ventures (ELV) announced today that it has entered into a new partnership with LiveWell Colorado, a nonprofit organization committed to reducing obesity in Colorado by promoting healthy eating and active living. Within this partnership, LiveWell will work with local community partners to recruit Rainbow Snack Educators for each county who will contract with ELV to provide support to the Snack Pack demo portion of the Rainbow Snack program. The program will be focused in four counties – Arapahoe, Garfield, Mesa, and Pueblo. Rainbow Snacks is part of ELV’s Healthy Options for Preschoolers program and is made possible by the Colorado Health Foundation. The goal is to serve children more fresh fruits and veggies, as well as whole grains, low-fat dairy, and lean proteins as part of their daily snacks. This begins at the child care provider level, and then is extended to the parent level through the Snack Pack demos. Child care providers start serving the children in their care Rainbow Snacks for three months to introduce the kids to the snacks at school. The Snack Pack demos then introduce these healthy snacks to parents and encourage parents to start serving them at home as well. Each child care provider who takes part in the program agrees to host three “parent engagement events.” These events include a demonstration of how to prepare a Rainbow Snack. 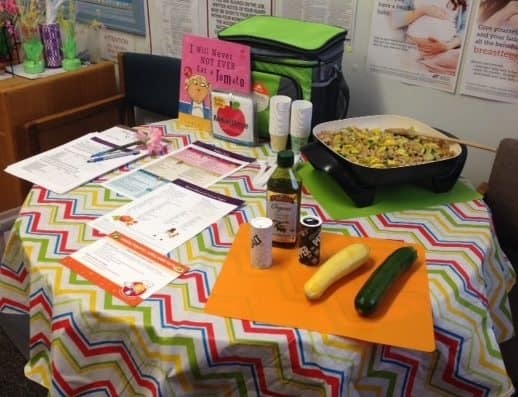 Parents are sent home with a “Snack Pack,” which includes a book, a recipe card, information on healthy living, and a gift card to the grocery card to help purchase Rainbow Snack ingredients. “We have been facilitating the Rainbow Snacks program with child care providers for several years now, and this will be the first year in which we are working to extend the program in to the homes of children by encouraging their parents to serve healthy snacks as well,” said Mia Pritts, ELV Program Implementation Director. 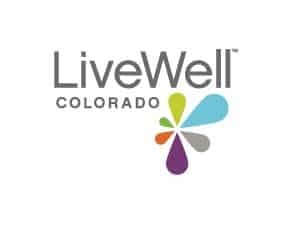 “We are extremely excited about this new collaboration with LiveWell Colorado as it will help us tap in to existing resources in partnership with another organization who is passionate about the health and wellness of Colorado’s children,” Mia added. The goal for the program is 50 child care providers reaching 1,850 children and 925 parents. To date, we are working with six centers and two homes serving approximately 375 children who have successfully participated in the Rainbow Snacks program. An additional 32 child care providers will begin participating in May, with a remaining 10 providers joining at the end of this year. Founded by the David & Laura Merage Foundation, Early Learning Ventures (ELV) is making it possible to deliver high quality and affordable early care and education. ELV strategically aligns itself with a diverse range of community-based partners to deliver a comprehensive, fully integrated shared services model. Through the power of an online technology platform and the resourcefulness of community partners, ELV brings together small, market-based child care providers with the often siloed, child care regulatory, quality improvement, and subsidy systems resulting in significant savings of both time and money which are then reinvested in providing higher quality child care. For more information, visit www.earlylearningventures.org. LiveWell Colorado is a statewide nonprofit organization committed to preventing and reducing obesity in Colorado by promoting healthy eating and active living. With the goal of eliminating health disparities and advancing health equity, LiveWell Colorado focuses its efforts on policy, environmental and lifestyle changes that remove barriers and increase access to healthy behaviors. Working in partnership with obesity prevention initiatives across the state, LiveWell Colorado aims to provide every Coloradan with access to healthy foods and opportunities for physical activity to make Colorado the healthiest state in the nation. For more information, please visit: www.LiveWellColorado.org.